Ongoing rapid urbanisation has the potential to improve the well-being of societies. Although only around half the world’s people live in cities, they generate more than 80 percent of Global Domestic Product (GDP). Cities are also younger: home to relatively more young and working-age adults than rural areas, making them pivotal places to capture demographic dividends. And around the world cities are introducing initiatives aimed at addressing poverty, improving infrastructure and tackling pollution. For example, in a special contribution to the 2013 Human Development Report, former New York Major, Michael Bloomberg talked about the ‘Opportunity NYC: Family Rewards’ initiative, the first conditional cash transfer programme in the United States, that aimed to reduce poverty and inequalities in the city by providing households with incentives for preventive health care, education and job training. Moreover according to UN Habitat, 1600 cities worldwide are now reporting on air pollution levels, which allow them to map the main sources of pollution and implement effective measures to improve the quality of the air. Yet urbanization also presents many human development challenges. 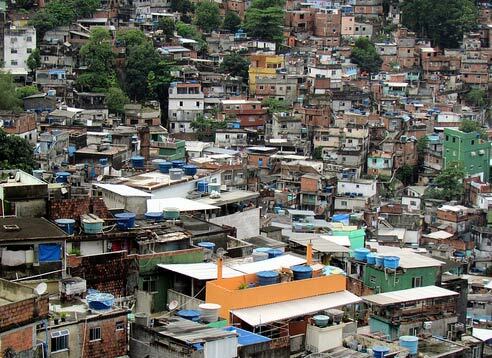 It is estimated that nearly 40 percent of the world’s urban expansion may be in slums, exacerbating economic disparities and unsanitary conditions. Rapid urbanization is also linked to environmental concerns and many cities located in coastal areas or on river banks may also be vulnerable to natural disasters such as storms, cyclones and floods. Likewise, poor urban infrastructure - such as unreliable power systems, congested roads and poor public transport, inefficient ports and inadequate schools - reduces cities' competitiveness and economic prospects. So not all urbanization is positive, especially if it is unplanned. To be able to fully capitalise on the opportunity, policymakers will have to address a few key issues. By 2050 more than two-thirds of the world’s population is projected to be living in urban areas. This rapid increase will take place mainly in developing countries. Africa and Asia— both still less urbanized than other regions— will have the fastest urban growth rates. Africa’s urban population is projected to jump from 40 percent today to 56 percent by 2050, and Asia’s from 48 percent to 64 percent. In order to accommodate this rapid expansion in urban dwelling, experts estimate that US$57 trillion in global infrastructure investment is required by 2030 alone. More than 1 billion people live in housing that is below minimum standards of comfort and sanitation, and new houses will have to be built for 3 billion people by 2030. Investing in essential infrastructure propels growth and human development. There has been some progress in narrowing the infrastructure deficit in recent decades, but much more needs to be done. Good planning and sound management is needed to manage this. National and local governments need to become more strategic in responding to the full range of challenges and opportunities posed by rapid urbanisation. This can be done by formulating a national urbanisation strategy as a first step to help to identify urban development priorities, shape plans and better coordinate actions by all the actors involved, including the private sector. There is, however, no one-size-fits-all urban strategy. Urban policy priorities and choices depend on a variety of factors - including the scale, speed and source of urbanisation, the size of cities and the stage of urban development. Intergovernmental relationships are also key to successful urbanisation. National, regional and city governments need to be connected and share a similar vision. Local governments will need technical and managerial skills, the ability to engage with the public and strong capacities to design, implement, monitor and evaluate local public policies and services. As cities grow, governments will need to cater to rapidly growing demands for public services and infrastructure. In many places, they are not keeping up. For example, almost 700 million urban slum dwellers lack adequate sanitation, which, along with the paucity of safe drinking water, raises the risk of communicable diseases, particularly among children. And urbanization creates income and opportunity disparities, not only between rural and urban areas but also among socioeconomic groups in cities. The world needs inclusive and sustainable urbanisation as a milestone in the path towards socio-economic development, as recognized by Sustainable Development Goal (SDG) - Goal #11: Sustainable Cities and Communities. Future human development prospects largely hinge on how well these growing cities are managed.